Many factors can impact a blood pressure reading and make a diagnosis challenging. Blood pressure readings that are higher or lower than normal can indicate underlying disease or disorder so it is important to know how to take an accurate blood pressure reading. Learn how the right equipment can help. 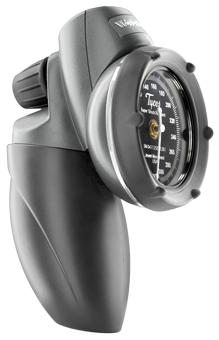 Integrated aneroid and blood pressure cuff technology helps you capture manual readings.